Today we’d like to introduce you to Zoë Barry. I launched my career on Wall Street while working at an independent broker-dealer, DeMatteo Monness, and later at the hedge fund Dawson Capital. While working on Wall Street, a family member was diagnosed with a rare disease, the treatment of which required specialty medication. This experience led me to the realization of how cumbersome and outdated the specialty prescribing process is, and I became determined to do something about it. While already impassioned, I knew I needed to grow my technical experience beyond finance and Wall Street. I left Wall Street and soon after accepted a job at a leading electronic health record provider, athenahealth, in 2011. My passion for healthcare quickly grew while being immersed in work that solved real problems for healthcare providers and their patients. While my time in the healthcare industry was extremely rewarding, I knew I wanted to take my professional destiny into my own hands. The impact I was determined to make would not happen from within four walls of someone else’s cubicle. With this determination, I resolved to launch ZappRx in 2012 with a truly differentiated approach to solving a longstanding and fundamental problem in healthcare. In the early days, the ZappRx team was a small group made up of myself along with a few friends and colleagues that shared in my vision. Today, we have over 50 employees in our own state-of-the-art office space in downtown Boston. Beyond our corporate growth, we have quickly permeated the industry and are now impacting the lives of thousands of healthcare providers and patients. On average, patients suffering from debilitating diseases like Cystic Fibrosis (CF) are forced to wait up to 19 weeks to get their life-saving medications. ZappRx has reduced that time to five days or less. Since our founding, we have raised over $42 million in funding, including backing from VC firms such as Qiming US Healthcare Fund and GV. I attribute my success so far to my determination and resiliency. I was passionate about helping sick patients get medications faster by leveraging new technology and my passion drove me to acquire the resources to fulfill that goal. 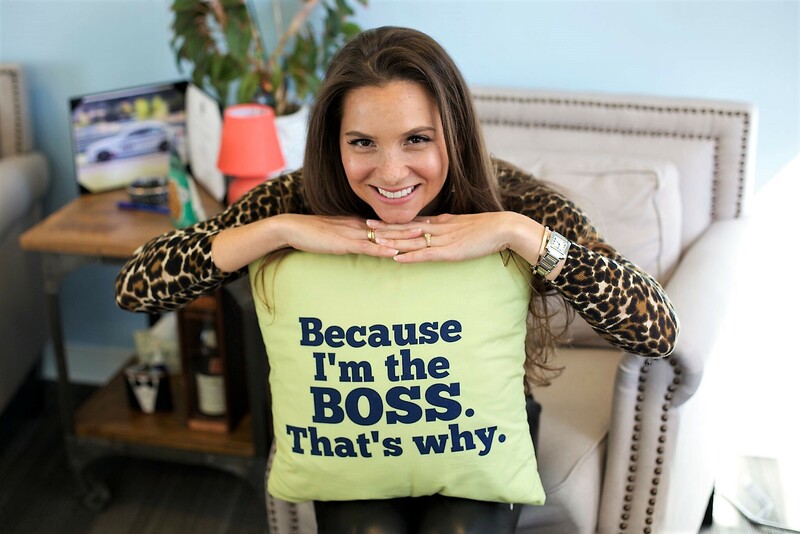 While I am an integral part of the daily operations at ZappRx, I also strive to support other women in business, particularly young female entrepreneurs. I had wonderful mentors – both men and women – that helped shape my professional career and I think it is important to invest in and provide mentorship to those with similar dreams. In order to encourage female led companies, I started my own angel investment firm to help like-minded female CEOs succeed. In addition to advising startups including (MyLingo (LA), Remy (NYC), Metiri (Boston) and FutureFuel.io (Boston), I make sure to keep up with new entities to invest in that are being developed and led by female entrepreneurs. If someone told me being an entrepreneur was easy, I probably wouldn’t have tried it. When I started to build ZappRx, I knew that I would have to overcome many obstacles. However, the potential impact I knew could be made kept me driven to realize my goal. I didn’t know if I would succeed or fail when I founded the company, but it was a risk worth taking. One of the biggest challenges for ZappRx is convincing healthcare providers to take a chance on a new technology. Most healthcare providers have been forced to navigate the archaic process of prior authorization for so long that our technology can appear to them as just “another complicated piece of technology that will pull them away from clinical care.” With so many different technologies already being pushed on healthcare providers, our platform can seem daunting. 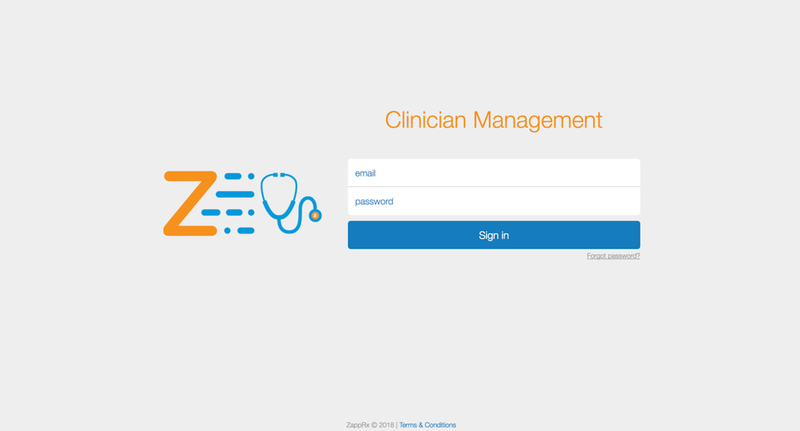 At ZappRx, we place heavy emphasis on user experience and usability. Our platform is clinician friendly and empowers providers to focus on patient care instead of admin duties or technology. Currently, we have a long list of reputable medical centers who have deployed our platform for pulmonology. In the coming months we will be adding several new disease areas to our platform, extending our reach and making a positive impact on even more lives. In addition to the challenges associated with driving change in a risk adverse healthcare industry, I face many obstacles as a young female CEO. While female leaders aren’t as rare as we once were, only five percent of the Fortune 500 companies have female CEOs today. Additionally, only two percent of Venture Capital funding dollars go to female-founders. While I encountered plenty of nay-sayers during the initial stages of starting and fundraising for ZappRx, I was fortunate to come across many investors that were willing to take a chance on me and my company. Many of my investors were interested in my work from both a business perspective as well as a personal one. Some experienced the shortcomings of healthcare directly while others had daughters for whom they wanted to see more female leaders. In the beginning stages, it was challenging to identify and hire at the leadership levels. The first challenge I experienced was one that many startups experience; convincing senior people to take a chance on a startup. The other challenge was a little more unique to me, that being the responsibility to identify veterans who were comfortable taking direction from someone who, in almost every case, was younger than them. While it took some concerted effort and didn’t happen overnight, the team we built was all-in and shared my passion and vision. Building the leadership team at ZappRx has been extraordinarily rewarding and I have been fortunate to surround myself with such an impressive group of industry leaders. Today, half of my executive team is comprised of women, which I am particularly proud of. Creating an equal and diverse workplace is extremely important to me, as it provides the company with different perspectives and strengths. Beyond growing the business to where it is today, the team we’ve built at ZappRx is one of the things I am most proud of. ZappRx is a digital health company that is modernizing and simplifying the way specialty medications are accessed. We provide a secure, collaborative online platform that allows patients, physicians, and pharmacists to work together to improve patients’ access to treatment and deliver medicine faster. Currently, we provide solutions to physicians treating Pulmonary Hypertension (PH), Pulmonary Arterial Hypertension (PAH) and Cystic Fibrosis (CF). In the coming months, we will be expanding into two new disease areas with the potential to save even more lives. As a result of today’s inefficient processes with specialty prescribing and prior authorization, patients are often left waiting months to receive lifesaving medications. During that time, their physical and mental health can seriously deteriorate and they often end up in the hospital. Couple that with the amount of time providers are spending manually filling out consent and prior authorization paperwork and not on patient care, and the scope of the specialty prescribing problem comes very clearly into focus. ZappRx’s platform provides a digital bridge between providers, insurers and specialty pharmacies, eliminating the need for phone and fax. 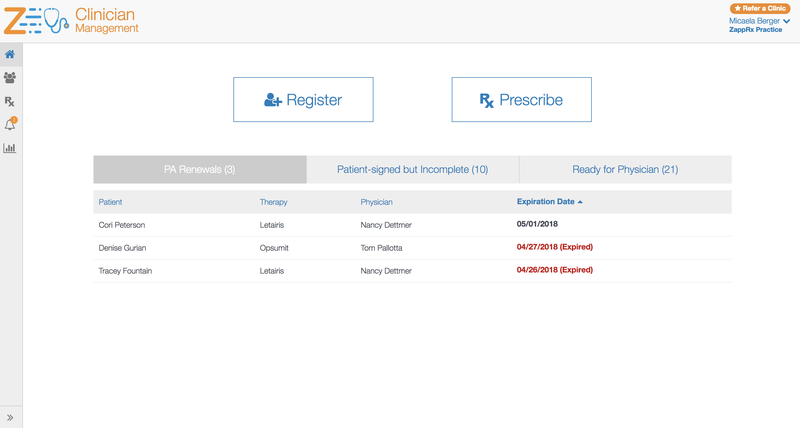 It also makes it simple to collect and save all the information required to fill a specialty prescription in one step; including pharmacy information, payer/prior authorization requirements, and relevant patient clinical history. 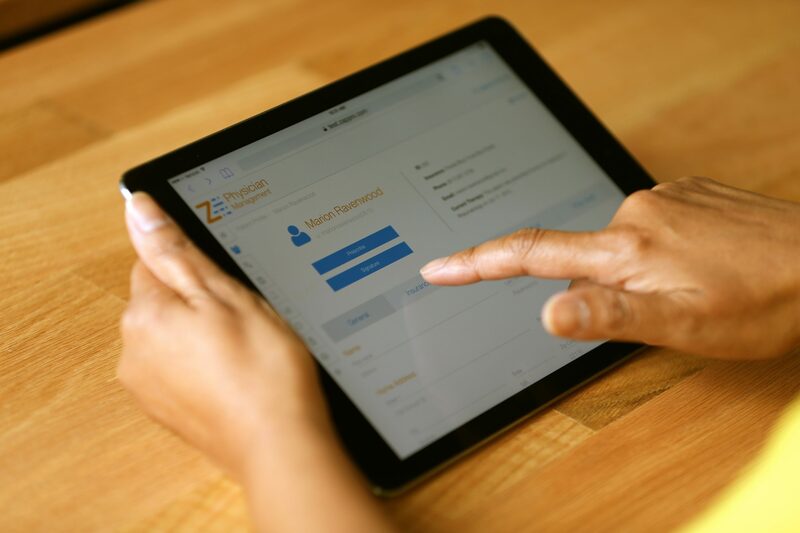 While we are still working hard to make things better, ZappRx has already reduced the total specialty prescribing and prior authorization process to an average of five days, with a 96% approval rate. There is nothing else like it in the market. We empower healthcare providers, pharmacists, and payers to digitally interact with one another and automate much of the currently manual and cumbersome process. What sets us apart in the market is our game changing technology, fresh approach and the people driving it all. We have developed a solution that is saving time, money and lives, and we plan to continue growing and extending our reach to help as many people as we possibly can. Not only is Boston a scenic walking city, but also a hub of academia and technological ingenuity. Boston offers it’s rapidly growing tech community an abundance of resources, from talent out of top universities to free innovation workshops. The combination of a vibrant tech community with a hotbed of world renowned hospitals and biotech companies makes Boston the ideal city for a company aiming to revolutionize healthcare through technological innovation.